As a hungry customer, sitting down at any restaurant means that you want friendly and rapid service. Anything less will only irritate the average person. In turn, the restaurant must have an efficient kitchen. Use these tools and tips for a successful restaurant in today’s fast-paced world. Profit margins will rise as a result. You’ll always need the basics when it comes to food preparation, such as copper pots and ladles. However, upgrade certain tools that help you move the ingredients into a completed plate. Blenders, for example, might benefit from new blades. A fluidizer blender may be a great investment for your large operation. Research the best and latest items offered for your cooking styles. There may be a faster and easier way to blend, cook and present your food to the patrons. Communication between the wait staff and the chefs can be difficult in a busy setting. Reduce the number of miscommunications by adding screens or tablets to the kitchen. As an order is being tallied by a waiter or waitress, the descriptions appear on the screen. The chefs can quickly start the food. The screens also allow the chefs to notate items for internal use or communicate with the wait staff. An item that might be low on supply, such as caviar, can be quickly sent out to the entire wait staff. An efficient kitchen is a clean one. This tip is an old-fashioned element, and it remains important for any restaurant. As pots are emptied of their contents, they should be quickly moved away from the cooking area. Designate an area for dish washing. 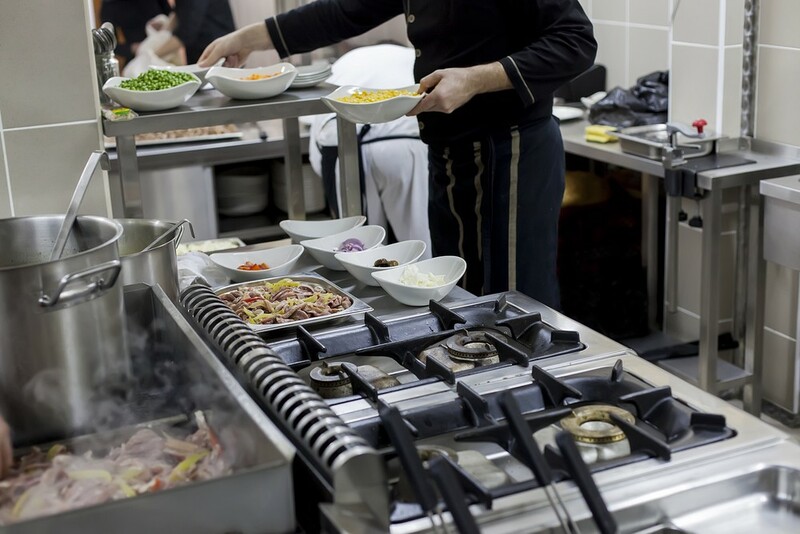 Cooking areas that remain cluttered and dirty can create compliance issues. It also makes it difficult for the chefs to complete their current dishes. Run your restaurant as if an inspection was pending each day. When you comply to basic safety and regulatory measures, a surprise inspection won’t be an issue. You’ll have a compliant and efficient kitchen regardless of the day.